PLOT: In the early 1960s, CIA agent Napoleon Solo and KGB operative Illya Kuryakin participate in a joint mission against a mysterious criminal organization, which is working to proliferate nuclear weapons. Guy Ritchie finally breaks out of ‘Guy Ritchie mode’ only to deliver a wannabe Tarantino with the violence removed. 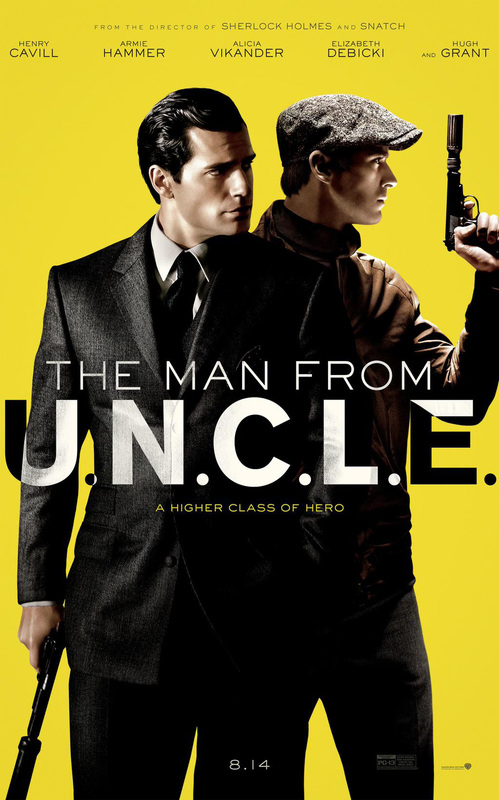 As an entry into a fun buddy-cop franchise The Man From UNCLE is an acceptable action flick. As an expression of Ritchie’s talents is it a disappointingly tame film that relies too much on it’s overdone faux-60s aesthetic and the (admittedly quite good) chemistry between it’s lead characters. However, the biggest take away you will get from this film is Cavill’s awful accent that slips between unashamedly Eton English and Englishman doing a bad impression of an American.